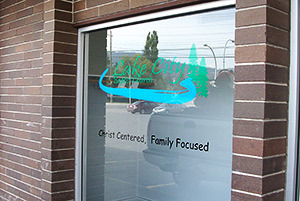 Lake City Baptist Church was started in September of 2009 shortly after Pastor Lendvoy and his family moved to the City of Williams Lake. After holding a week of special meetings, regular weekly services began Sunday September 22, 2009. Since its inception, the church has been actively involved in ministering to people in the Williams Lake area. Our community outreach includes house to house visitation, neighbourhood surveys, mass tract distribution, and distributing portions of the Scriptures. Lake City Baptist Church also makes special visits to shut-ins, those confined to the hospital, nursing home visitation, and others with spiritual needs. The focus of our services is the preaching and teaching of His Word. We believe that the Bible is relevant and has meaning and application for us. Each service is different, with a unique challenge from God’s Word that is designed for us to apply in our lives and to help us throughout the week. Please let us know if there is anything we can do to help you, or if we can share the gospel with any of your loved ones. Based on the Bible, and focused on the Saviour, Lake City Baptist Church is first and foremost Bible-believers. This makes the Bible our sole rule for faith and practice. In English, we use the King James Version. We hold to the historic Baptist doctrinal position in polity and practice. We consider ourselves practically to be a historical New Testament Church. Since the founding of the New Testament Church, there has been a common thread of belief expressed in a particular set of doctrines. For the last several centuries, these churches have been known as Baptist. The term Baptist is the label that we use to identify us as practicing that same set of beliefs. We choose to be an independent, unaffiliated church. We oppose inter-denominationalism and are not a part of any other denominational headquarters. We believe salvation is complete in Christ, plus nothing, minus nothing. We believe that those who trust Christ ought to live their life in a manner that honours the Saviour. We believe in the personal, physical, bodily return of the Lord Jesus Christ. We believe that we are called to evangelize the world and share the gospel with each and every man, woman and child. For a more detailed doctrinal statement, please contact Pastor Lendvoy. 240 Oliver Street, Williams Lake B.C. Copyright © 2019 Lake City Baptist Church.